When you want to make the most of your serging time, with professional results, the MyLock 634D is unmatched. 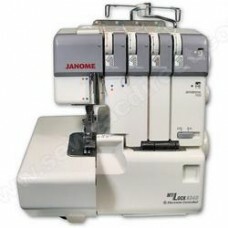 It has 2 needles and 2, 3 or 4 thread overlock stitching. Threading is a breeze due to color-coded thread guides and an easy lower looper threading system.